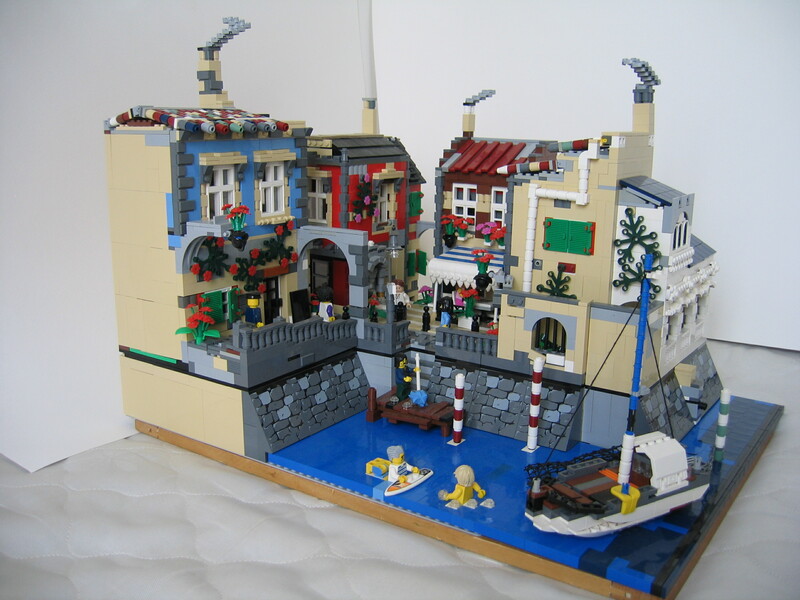 Brick Town Talk: The Marvelous Mediterranean - LEGO Town, Architecture, Building Tips, Inspiration Ideas, and more! You have to check out the roofs on these buildings. They add such a unique character to each building. I also like the little compactness of this town layout. Very neat! The small technical details like the drains and that little AC unit are great! Indeed! I especially like the drains.